Use the applet below to answer the questions that appear beneath it. 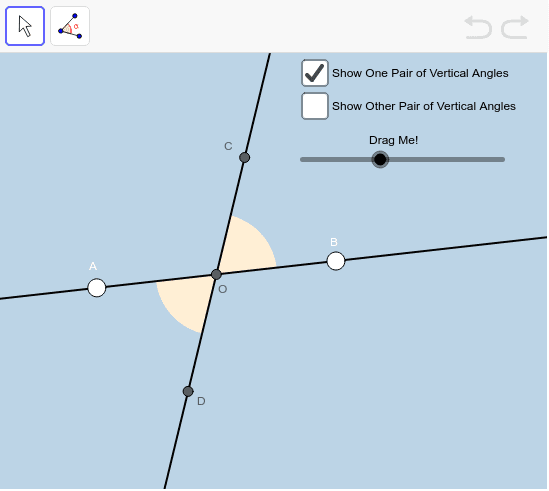 Use the Angle tool to measure each yellow angle. What do you notice? Click the other checkbox to show the other pair of vertical angles. Use the angle tool to measure these two green vertical angles now. What do you notice? Now that you have all four angle measures displayed, drag the slider around. What can you conclude about each pair of vertical angles?